Hello, I am nearly 15years old and I am hoping to audition for a vocational ballet school at the age of 16 to pursue a career in ballet. I am currently studying RAD Grade 5 and do 1pointe work lesson per week. I have been doing pointe work for 1year and I have had 8pairs of pointe shoes with each pair only lasting a few days before breaking. I have had all of my pairs fitted in different shops eg. Wolverhampton, Chester, York, Telford and Freeds of London. I have had Sansha Recitals (M), 3x Grishko 2007 (M), Grishko 2007 (H), Freed Studio Professionals, Freed Classic Plus and Turning Pointe. I have been doing many exercises on my feet with a Thera band and my teacher has given me exercises from the Perfect Pointe Book. I have very high arches, flexible feet and often go 'too far over' en pointe. During lessons, I cannot participate in exercises on 1foot as I go too far over which limits what I can do. I am hoping to progress in my pointe work this summer ready for ballet school auditions. I was wondering if you could recommend any pointe shoes or exercises to improve my pointe work. It has been very expensive with my shoes so far as I have travelled from Wales to many different shops so I would like to find the perfect pair so I can focus on my ballet (without worrying about ballet shoes)!!! Also, I have been working on 'pulling up out of the shoe' and I do not go over too far on two feet in a echappe, but in a relive/ relive retire I go too far over (my mum is worried this may damage my feet). One of my teachers thought I had a hyper-extension on my foot- but I'm not sure? Finally, I am the only person in my class with these problems so I do not get to participate as much as I would like! and your determination to find a solution for pointes is just like my own AND I finally found my 'perfect' shoes, so don't give up!! I also have very high insteps and flexible feet as a dancer, so I hope I can help you out. 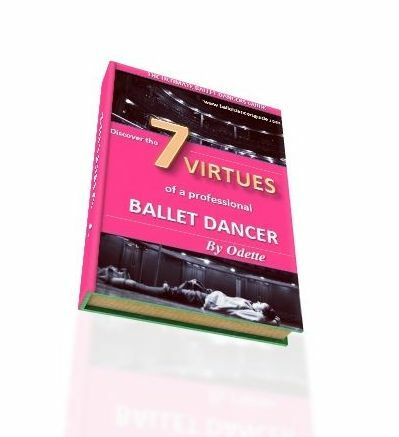 I certainly understand your pointe shoe problems and finding the right pair, because it took me years through my training until I found the absolute right pair to help my dancing. I know at the moment it feels like your flexible feet are holding you back, but it just takes more time to build the strength and stability. I would say, you want to find a pointe shoe that is very hard and strong enough to support your high arches. From my experience, I suggest for you to try Bloch pointe shoes. I wore the pair 'serenade' for some time as a student and these worked well with my flexible feet. I now wear Freed Pointe Shoes that are custom made to my feet, I spent a good year experimenting with Freed to find the right pair for me. I find Freed shoes do not last me as long as Bloch, which is why I transferred only when I reached a professional level. Don't be put off if the pointe shoes aren't perfect straight away, because I tried many pairs of Freed before I found the final ones. I would say, with a brand like Freed, it's worth sticking by them until you find a good pair because they are willing to work with you and experiment with what your foot shape is suited to. As far as practice and improving goes, I really think the priority is to find a good enough pointe shoe for you to work with. This will take time, so in the meanwhile, focus on always being very active in your feet (even in flat ballet shoes). Remember, it won't be just in your feet that has to work in your pointe shoes. It is your whole leg muscles that have to keep you engaged to support you on pointe: glutes, hamstrings, calves. So, think of working these muscles to help build the strength for pointe. Keep in touch - that's all for now!